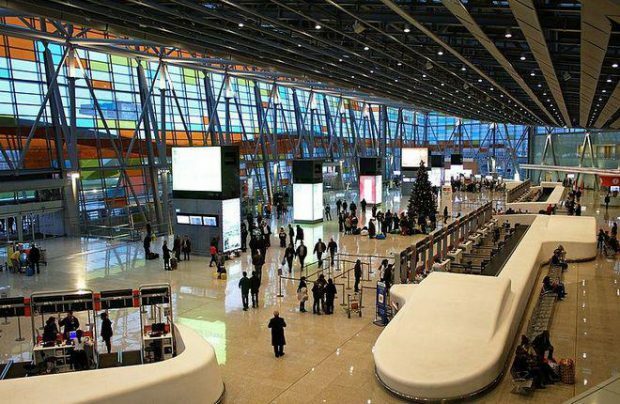 Traffic through Zvartnots, Armenia’s largest airport, made a sharp climb at the end of 2016, with a year-on-year increase of 12%, as follows from a report by the national aviation authority. The results for the last months contrast with the rest of the year: between January and July 2016, Zvartnots’s year-on-year traffic growth averaged 2.5%, and in the months from January to October it accelerated to 10%. In total, Zvartnots handled 2.106 million passengers last year. The number of aircraft movements increased 2.8% to 9,300. The cargo segment demonstrated even more dramatic growth, with the combined volume of freight and mail processed by the airport surging 80.5% to 18.3 tons. Zvartnots now also hosts Armenia, which started operations in July last year. The airport expects to have crossed the 3-million-passenger mark by 2020, including thanks to the country’s open-skies effort. In the first two months of 2017, Zvarnots saw its traffic increased by 19.8%, local newswire Arka reports, citing the country’s civil aviation department. By contrast, Armenia’s second largest airport Shirak, located hust off the city of Gyumri, saw its traffic plunge 68.4% last year compared to 2015, amounting to just 12,400 passengers. The number of flights handled by the airport in 2016 decreased three times to just 54 movements. The airport processed 4.2 tons of cargo, down 12 times from 2015. Russian low-cost carrier Pobeda (a subsidiary of Aeroflot) started flying to Armenia’s Shirak in December last year, having preferred it to Zvartnots for cost reasons. The Russian airline contributed to the traffic growth of 223% at the airpot in February 2017 bringing 4,200 passengers to the facility.